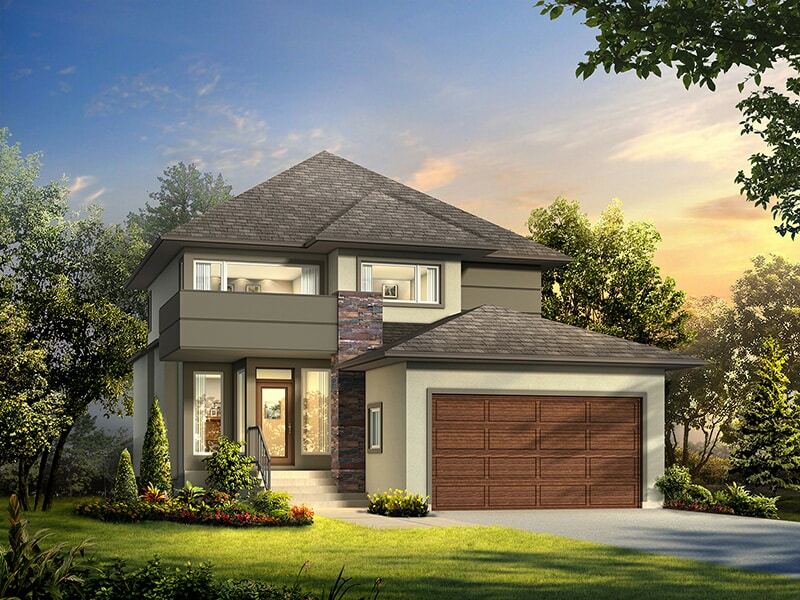 The Marquee II is a 3 bedroom, 2.5 bath home with 9′ ceilings. The formal dining room and open concept great room with the ceramic tile gas fireplace built-in entertainment centre allows for great entertaining. The kitchen boasts an 8′ custom granite island, walk-in pantry, custom Arcadia cabinetry and ceramic tile backsplash with plenty of counter space. Hardwood and tiled floors shine throughout the main floor. The master bedroom features a deluxe ensuite with a 6′ drop-in jetted tub, a custom tiled glass shower, a double vanity and a large walk-in closet. The exterior stone veneer and stained wood panels combined with an abundance of large windows makes this house stand apart from the rest.